Not many fibromyalgia patients in Oakland County, Michigan know that they have more than one option in chiropractic care. Upper cervical chiropractic care is gentle, logical, and often helps those with fibro pain heal in ways that they have not experienced with medications, physical therapy, manual therapy, and traditional chiropractic. Intense muscle aches, with distinct pain points in key muscles around the body are the hallmarks of fibromyalgia. These are the classic “fibro hotspots” and are generally required to have a diagnosis of fibromyalgia. In some patients flare-ups of these points are so severe that they can only be touched with a light pressure, if they can be touched at all. Depending on what group of symptoms a patient experiences, fibromyalgia can be extremely debilitating on a daily basis, or a constant, but manageable, annoyance. From the perspective of modern medicine, there is no single known factor that causes fibromyalgia. Given the varying experiences that patients with this “syndrome” have, this makes sense, but this lack of a single cause is often frustrating to fibromyalgia patients. They want to know what needs to be fixed so that they can feel normal. However, in reality, a cocktail of lifestyle changes and care options may be necessary to help the body overcome a majority of its fibro patterns. Are you living with fibromyalgia pain near Auburn Hills or Rochester Hills, MI? Ready to try a different kind of care to help your body heal? 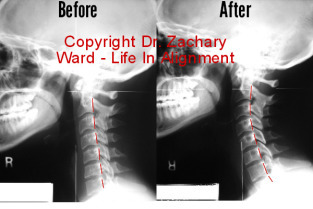 Consider upper cervical care with Dr. Zachary Ward. Call (248) 598-4002. Relief for dystonia symptoms found in the neck?